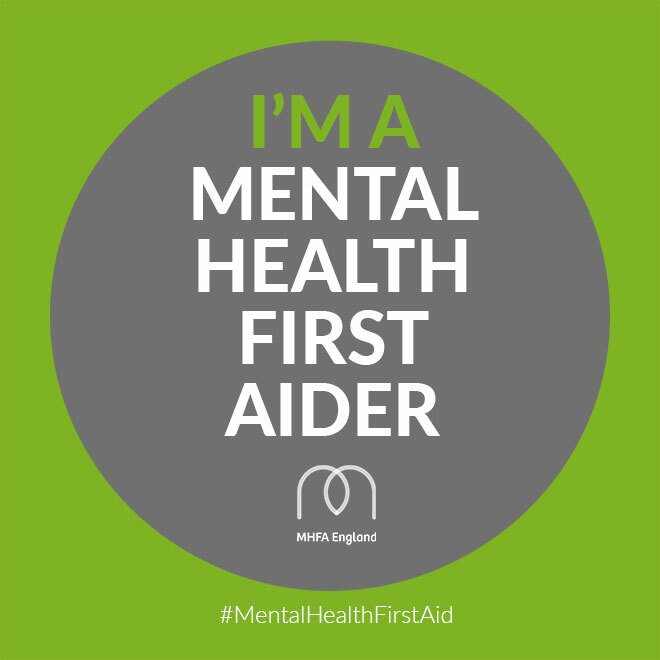 What is a Mental Health First Aider? Walking into my Mental Health First Aid England course in March 2019 was slightly daunting. I’m not a mental health practitioner and I had no idea how much I would be expected to know, and whether I’d be expected to solve everyone’s mental health issues at a moment’s notice. Thankfully this was not the case. ‘Mental Health First Aider’ is (slowly) becoming a more recognised term. If I’d told people this six years ago I’d be receiving a few sideways glances; firstly because it didn’t actually exist to the wider public, and secondly I question, was the mental health movement as strong and deemed as important then? I think not. The birth of Mental Health First Aid (MHFA) happened in Australia in 2000 and was founded by the trauma nurse Betty Kitchener, devised entirely to break down the stigma around mental health. MHFA England was first devised in 2010, then revised and re-launched in October 2013 by the Tory government. This was a big year for the parity of mental health and physical health. CEO Simon Blake’s recent(ish) article in The Independent highlights how at the turn of the 11th century, a group of religious knights were trained to provide basic medical treatment on the battlefields. Many years later in 1878, Victorian surgeon Peter Shephard led the first ever first aid course in London…. Fast forward to the year 2000 and that is 122 years of non-mental health focus and training. Today, according to The Centre for Mental Health, neglecting employees mental health is costing £35bn a year. In addition to this, data from the HSE shows that 15.4 million days are lost due to work-related stress, depression or anxiety. This has become a business case, a hindrance on profitability and therefore, something to be addressed - and assessed - fast. Let me bring you back to March 2019… I was with a group of such energetic, smart and like-minded people, almost intimidatingly so. We all sat in that classroom-style room with the same purpose: to become mental health first aiders, and (in a mere two days time) be able to walk, stride or skip back into our places of work armed with this new and vastly underestimated skill set. The course was split into four core sections: 1) A deep dive into what Mental Health First Aid is and what they are trying to create, 2) Breaking down the stigma and discrimination around mental health as a whole; 3) Then an overview about the causes and impact of suicide and much-needed listening skills; and the importance of self care. And finally 4) A detailed exploration into anxiety and all the components involved, and a deeper understanding around psychosis. The course ended with looking to the future and how to embed our learning into our respective workplaces… it was a jam- packed couple of days! I can muse about everything in this course, but I think the entire reason and purpose for it is that the content and meaning of the course is entirely different for everyone who is involved, be it as a Mental Health First Aider or the person who is receiving the support. One of the key messages woven through the two days was that Mental Health First Aiders, or those facilitating the training itself are not, I repeat NOT mental health professionals and cannot prescribe, or even diagnose. They are simply there to listen, and to observe. You wouldn’t instantly think that the First Aider in your office is a doctor, so why should a Mental Health First Aider be any different? Both physical and Mental Health First Aiders are looking out for signs of physical or mental distress, irregularities and if appropriate raising the alarm with a professional in that specific medical field. Therefore, sadly I cannot now call myself Dr. Emily, but others can, if they so wish. When I think of a first aider, I think of bright colours, and noise - mainly because when people need physical assistance it’s usually urgent and blood could be being lost. However, the art of mental health first aid (I personally think) needs to be more subtle and slot into your working life with ease. This might be taking 10 minutes every day to talk to your workplace Mental Health First Aider, in a non-daunting way, perhaps a local coffee shop or somewhere that isn’t going to emotionally stifle you further. Asking for help can be difficult, anxiety inducing, and just plain embarrassing, especially if it’s not in your normal day-to-day life. But, that's the beauty of having trained Mental Health First Aiders handy, they can interject, listen or offer advice before it all gets too much, and you need to seek professional help. I for one, am so chuffed to be able to help this movement - to date there are 1 million Mental Health First Aiders trained across 25 countries, and that’s only in the last few years - what will these figures look like in the next few? As a society, and perhaps a world, we are becoming more self aware, highly emotionally intelligent and increasingly empathic. A phenomenally powerful open letter to the Prime Minister was published in November 2018 from the Chairman of MHFA in the workplace and the parity between mental and physical health. This was supported by some of the biggest companies in the UK including; PwC, Bupa and Channel 4 and received over 200,000 public signatures. This can only do good, which is why I am so immensely proud to be part of it… get involved today!